Baker Street Area Guide - What makes Baker Street so great? Where do Baker Street locals go? Share your favourite place to go to in Baker Street. "Ever lost something on the Tube? The fabled London Underground Lost Property Office is located around the side of Baker Street station. Items that have been "found" over the years include a bishop's crook, a stuffed puffer fish and a garden slide!" Baker Street is a street in the Marylebone district of the City of Westminster in London. It forms part of the A41. It is most famous for its connection to the fictional detective Sherlock Holmes, who lived at 221B Baker Street, an address that did not actually exist in Sherlock Holmes' era (the address now graces a building housing a "Sherlock Holmes museum"). The street is named after builder William Baker who laid the street out in the eighteenth century. It was originally a high class residential address, but now is mainly occupied by commercial premises. The street is served by the London Underground by Baker Street tube station; next to the station is Transport for London's lost property office. Baker Street Station is one of the world's oldest surviving underground stations. What are your favourite things about Baker Street? 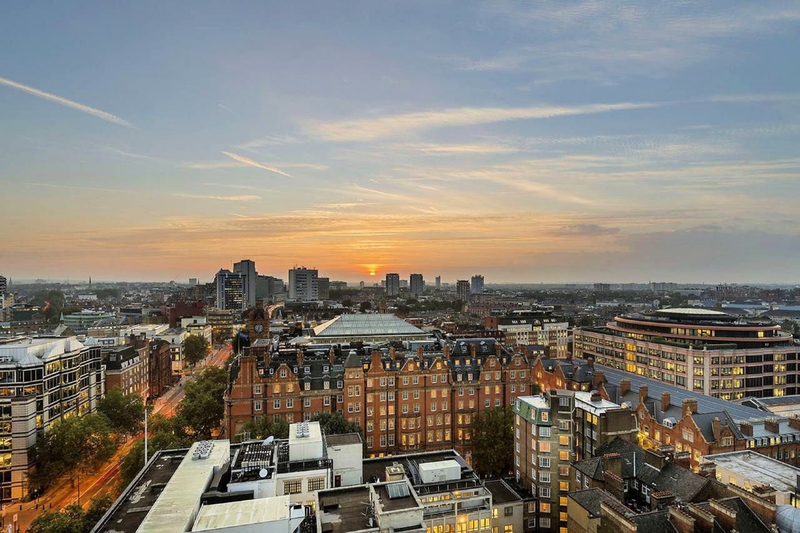 Find out how much your flat or house is worth om Baker Street. Feedback about living in Baker Street has been submitted directly by the public and may not neccessarily reflect the views of Foxtons. The description of Baker Street was modified from Wikipedia and is available under the Creative Commons licence. Land Registry data is Crown copyright. All the views and contributions contained within Foxtons Local Life are those of the contributors. All content is assessed before publishing for taste, however free opinion is encouraged. Foxtons accept no payment or sponsorship for content that is posted about Baker Street.